Evolved Heath is in Sailsbury and Matt Chappell is its founder. Matt has created an elite offering in the field of health and performance. Matt has travelled the world and studied with pioneers of strength & conditioning, personal training, body nutrition and functional medicine. 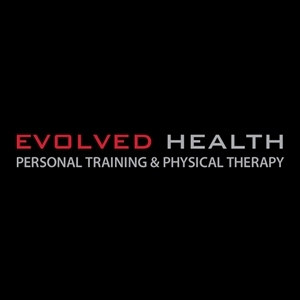 Evolved Health were seeking a compact & versatile functional training solution within their existing stretch/boxing zone. 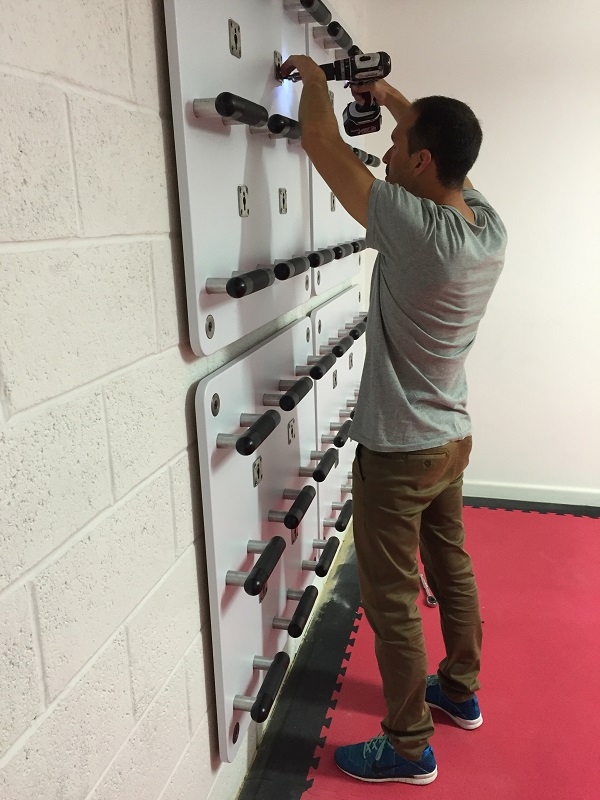 They selected Training Wall to compliment their existing range of fitness equipment from Atlantis, Jordan Fitness and Watson Gym. 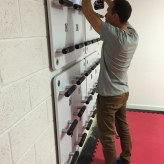 For this project we designed and installed a new 4 panel Training Wall system to maximise the floor space within the new functional area. This versatile 4 panel solution included a chin up bar, dipping station, rope puller, lever system and core plate/grappler attachment. Additional attachments and a storage system can be added in the future if required.